For cellular force and mechanical studies, high-resolution molecular-scale imaging and other life sciences applications, Veeco Instruments Inc. has released the BioScope Catalyst life sciences atomic force microscope (AFM). It integrates atomic force and light microscopy and includes software designed for registering and overlaying optical and AFM data. The top-down laser path permits uncompromised use of phase contrast, differential interference contrast and bright-field optical microscopy. Features include flexible mounting options, heating and fluid handling capabilities, and a microvolume perfusion accessory for working with precious reagents or proteins. Looking for Reagents? There are 11 companies listed in the Photonics Buyers' Guide. 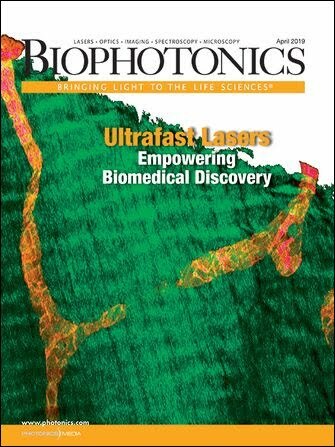 Basic ScienceBiophotonicsBreakthroughProductsenergyhigh-resolution molecular-scale imagingMicroscopyVeeco Instruments Inc. When you click "Send Request", we will send the contact details you supply to Veeco Instruments Inc. so they may respond to your inquiry directly.